From this view memories are like files saved in a computer. They can be opened, read, and if they are changed, they can be saved again in that changed form. The changes then become part of the document, and the original form is gone. The memory itself is different, and even the author does not have the original. Metamemory refers to what people know or believe about their own memories. Most people, including missionaries, believe that their memories do not change over time and that their memories are correct. They often think that, after all, they were there when events occurred so they certainly saw and heard what happened. They have vivid memories of what they personally experienced, but they may not understand that the memories have changed. 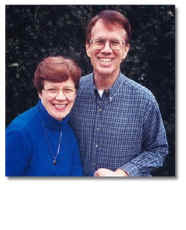 Two missionaries who believe that their memories are unchanging and who both believe that their own memory is correct are likely to, at some time, find differences between what they “remember.” Fortunately, this usually involves minor things such as the color they chose for paint or the route they were going to follow. However, it may also involve important issues such as the availability of car seats for children or differences in salary to be paid. These cases may lead to misunderstanding and conflict. Believing that their own memories are correct, either or both missionaries may come to the conclusion that the other is lying. This may occur between missionaries from the same culture and may be even more likely on multicultural teams or between missionaries and the nationals they serve. Having different memories does not mean that either is lying. Such differences may occur because of a misunderstanding at the time the memory was formed or because memories of either or both may have changed over time. Discussing the differences is far better than confrontation. Missionaries need to give each other the benefit of the doubt when differences occur. They must remind themselves that different memories may be formed during the event, or they may occur over time as they recall the original memories in different situations. In fact, field directors’ memories may change more than those of persons they lead because similar situations may occur repeatedly so field directors have more opportunities to modify their memories. The following suggestions may be helpful in preventing misunderstandings.